Motoring Badges. 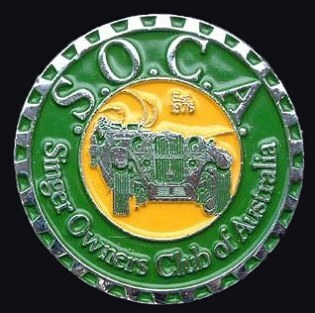 Singer Owners Club of Australia. Singer Owners Club of Australia. This SOCA badge is 3" in diameter and heavily chromed & enamelled.